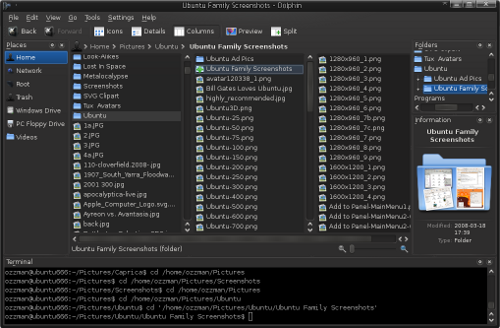 PLEASE NOTE: This article is for earlier versions of Nautilus File Manager (2.x) found in earlier Ubuntu releases running on Gnome 2.x, so will not work in Unity (the default desktop environment) or Gnome Shell, both of which are based on Gnome 3. 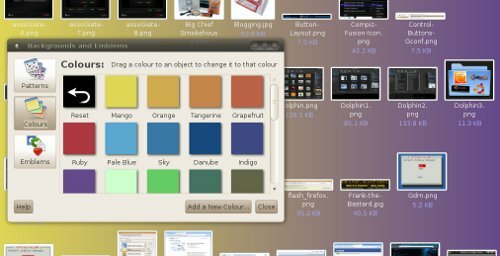 Nautilus can be cosmetically customised quite easily, so it’s a simple matter to replace the blank window background with either a picture, colour or gradient, as well as make important files and folders stick out from the rest. 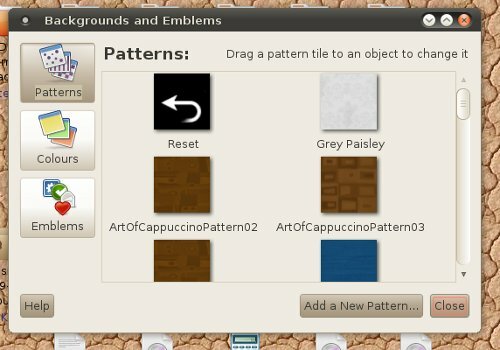 Simply go to Edit > Backgrounds and Emblems… and you can choose to change the background image (via Patterns), background colour (via Colours), as well as designate emblems to files and folders of your choosing (via Emblems). 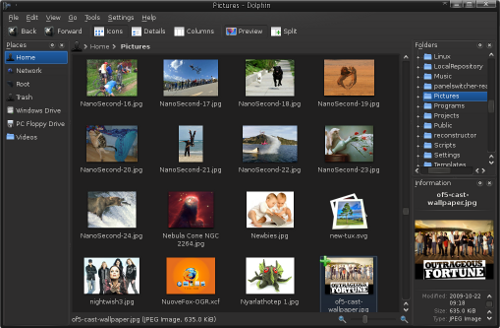 To make a pattern or image the background for folder windows, simply drag-and-drop it onto an empty area of Nautilus, and it’s done. 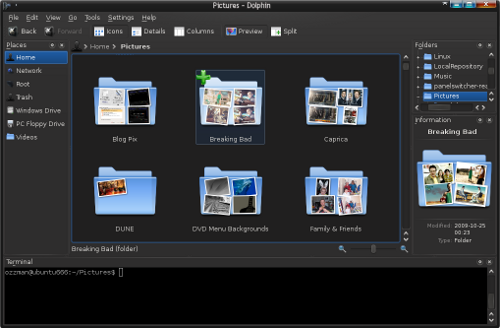 And if you want to revert to a blank background, drag the Reset option at the top instead of an image. 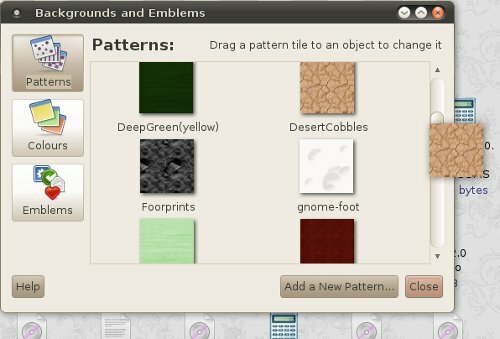 Similarly, if you just want a different colour as the background, in the Colours section you can drag a new background colour to Nautilus, and it will immediately change. Note that if you drop the colour in the corner or near the edge of the window, rather than closer to the centre, it will create a gradient of that colour blending into the previous one. 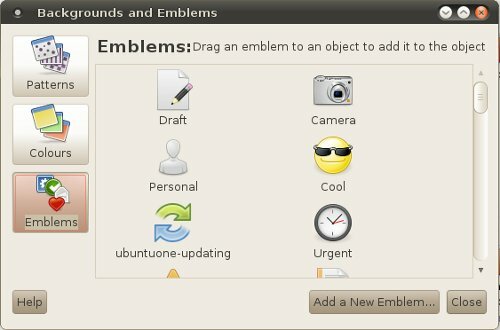 Assigning an emblem to a file or folder, for the purpose of making it stick out, is likewise a very simple matter. Once again, all you need to do is drag one of the emblems, then drop it onto the file or folder in question. You might notice that there is no option for resetting an object to have no emblem, but all you have to do should you want to remove one is right-click the file or folder, choose Properties, go to the Emblems tab, and untick the emblem that is being used.